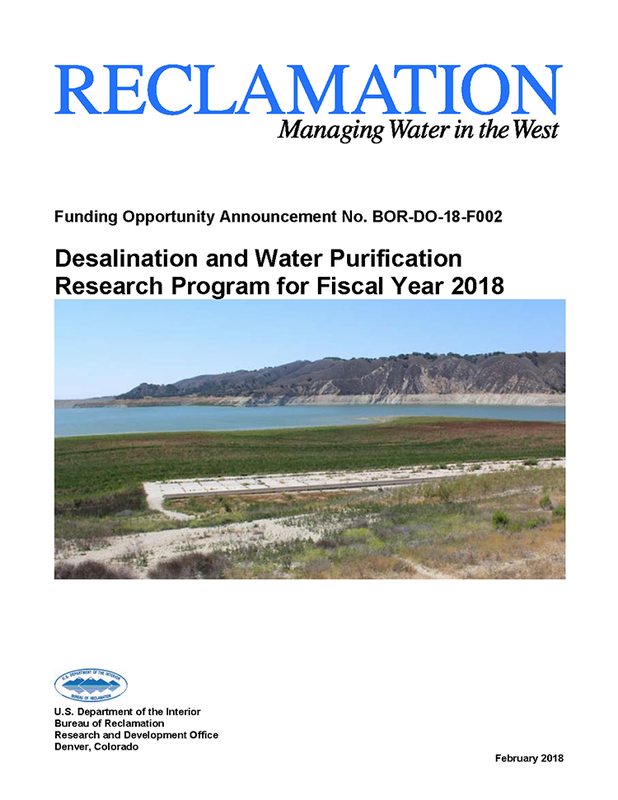 DWPR Funding Opportunity for FY 2018WASHINGTON - The Bureau of Reclamation has released a funding opportunity through its Desalination and Water Purification Research Program for fiscal year 2018. This funding opportunity invites private industry, universities, water utilities, and other research sponsors to submit proposals to cost share laboratory scale and pilot scale projects that address DWPR program goals and objectives. To view this funding opportunity, please visit www.grants.gov and search for funding opportunity number BOR-DO-18-F002. Applicants for desalination and water purification research projects funding must submit their proposals by 4:00 p.m. MDT on Tuesday May 1, 2018. To learn more about Reclamation's Desalination and Water Purification Research Program please visit www.usbr.gov/research/dwpr.